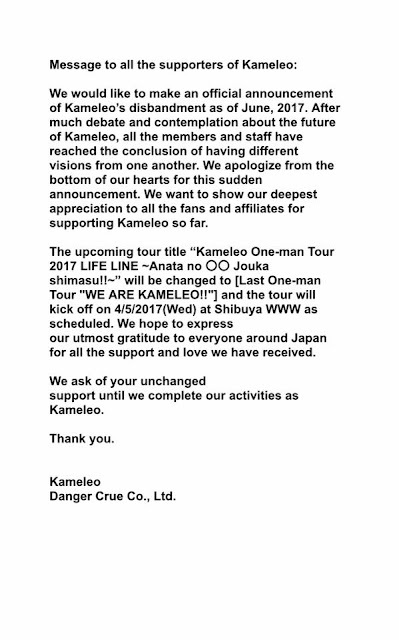 Kameleo has released an announcement that they will be disbanding in June. Kameleo has been in the VK scene for about five years, performing on stage as a unit that loved singing together on stage as much as they enjoyed playing together. The news hit their website earlier today and on Danger Crue's page of how the band will be ending activities at the start of summer. With differences in direction driving the members to go their separate ways, the band will still carry on with a final tour and one last release, which was announced a while back. 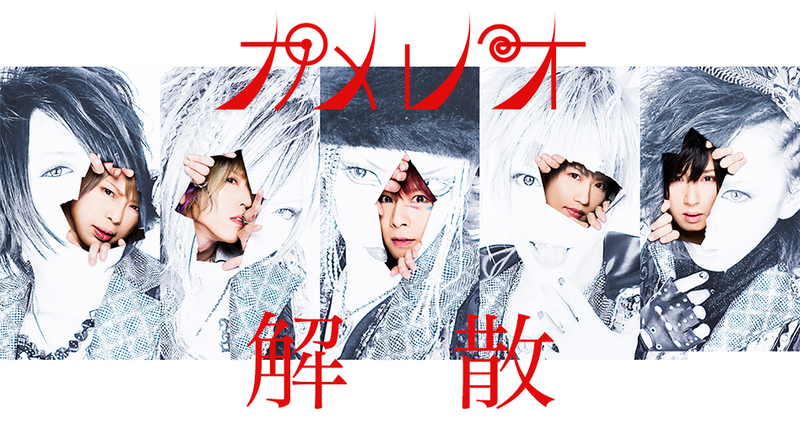 Their single, "Iki du life", will be release March 22nd. Kameleo has yet to announce an official disbandment date.